Uses: Christ the Shepherd Sunday, General, Lent Scripture: John 10:3 For Christ the Shepherd Sunday, here is a gentle reminder of the faithfulness of the Savior's love. 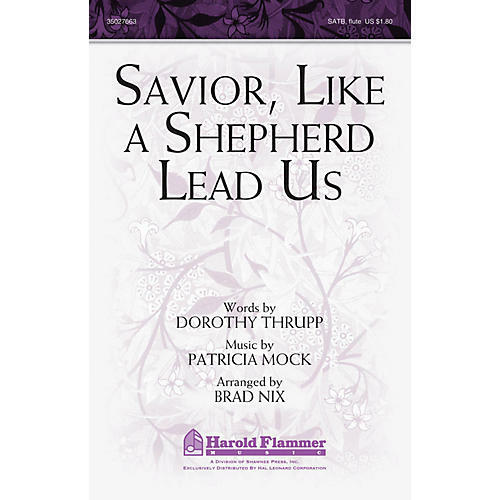 Tender melodic lines along with the flute engage the listener while an easy to learn vocal arrangement enables your choir to sing with beauty and grace. Includes flute part.